In creating a nurturing, safe environment within a school or nursery, you can also have fun with your interior design. Nursery and school printed roller blinds offer the opportunity to liven up your space’s appearance with design options like branded fabric colours, incorporating school names and crests, form or class names and puzzles. 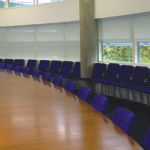 Our roller blinds can be made to measure, printed with your choice of image (after we have supplied you with design proofs) and manufactured in accordance with all current child safety legislation. The range of fabrics you can choose from, such as blackout, plain, energy saver, screen or printed, are also flame retardant to comply with the rigorous Flame Retardant DIN 4102:B1 BS5867:Part 2 Type B1 certification required for public buildings. All of our fabrics carry the environmentally friendly Oeko Tex 100 certification and when producing printed nursery or school logo blinds we use non-solvent water-based dyes, ensuring no odours and that our products are safe for use for years to come. 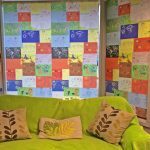 Your blinds can be designed to have an educational impact, featuring puzzles and fun facts to engage your pupils. 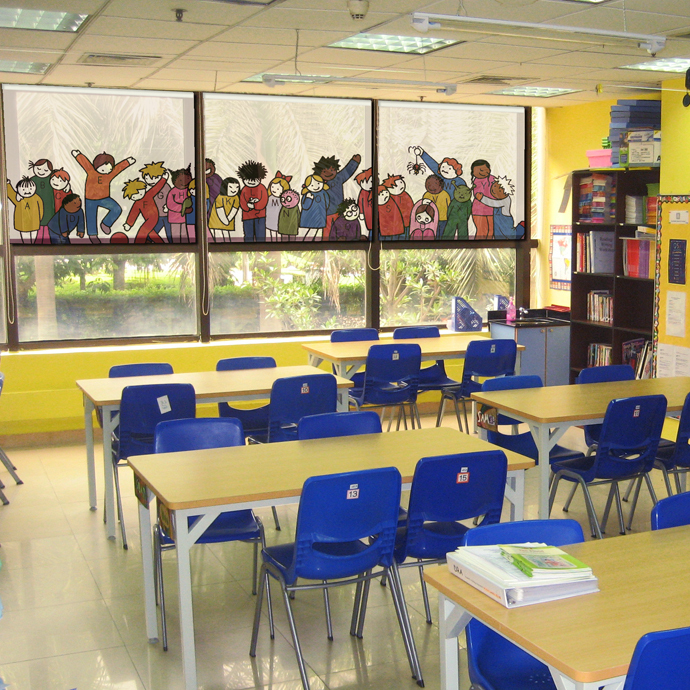 Let us help you create educational window blinds that do more than offer superior shading. We can colour match your design to class colours or even incorporate children’s artwork, ensuring a real sense of belonging and participation.